Still raining here but there is a glimmer of sun peaking out. I hope each of you and your families weathered the storms of the past few days. 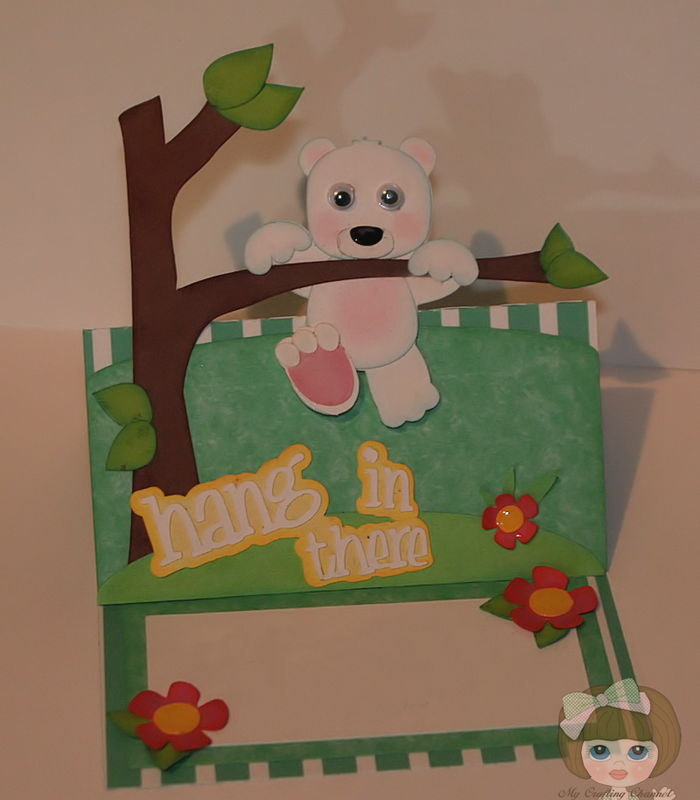 This morning I have for you this adorable easel card. When I made this last week I was not sure when I would use it. I have a friend that had a nasty fall. So this is going out to her. Aw this is the perfect card for the occasion, love those googly eyes they alone put a smile on my face. This is adorable Nana! I know your friend will love this! I love this adorable card! The little bear is sooooo cute! oh my gosh Nana~this is SO adorable! It will cheer anyone up:) I love the awesome scene and the bear is so stinken cute! It's so sweet that I even feel better and I didn't fall!!! Googly eyed cuteness all over the place. She'll "fall" head over heels for it! Totally Cute & Fun!! The googly eyes are Too darn cute!! !